Our range of robust, durable, and lightweight plastic pallets are a cost-effective alternative to traditional wooden pallets. 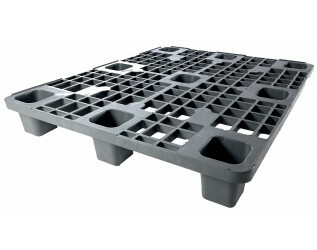 These plastic pallets offer a good chemical and moisture resistance, and are easy to wash down, reducing the risk of harbouring contamination. Each pallet is also easily recyclable, and has a longer useable life than a wooden pallet. Perfect for the fresh produce, IT, Engineering and pharmaceutical business sectors where hygiene and clean working environments are essential.